Japan’s economy may be picking up, but the outlook remains bleak for an often forgotten group of people: the roughly 150,000 evacuees from Fukushima Prefecture. Living in temporary accommodations, these individuals and families were either residents in the 30-km mandatory evacuation zone or those who lived too close for comfort and fled by choice. More than three years on, their plight continues. Following the loss of their homes and property, the government responded by offering free short-term accommodations but won’t provide housing for longer periods. Many of the housing agreements are now reviewed annually. The frustration at being uprooted is what characterizes their lives, and some are finally coming to terms with what might be the ghastly truth — that their limbo might last for a generation. “We can’t go back as long as Fukushima is not back in its original state,” said Yuya Kamoshita, of Hinan Seikatsu o Mamoru Kai, which roughly means “the group protecting evacuees’ daily lives.” The group helps evacuees living in Tokyo. Kamoshita and his family fled Iwaki to escape the radiation and moved to Tokyo. He said that unless the government presents a long-term plan with specific measures to ensure the evacuees’ livelihoods, most will have difficulty settling down, finding work and finding stable schooling for their children. The Disaster Relief Act guarantees housing for the evacuees. The units were procured from temporary housing and the rental market. But the law mandates that for only the first two years, after which the contracts are reviewed each year. 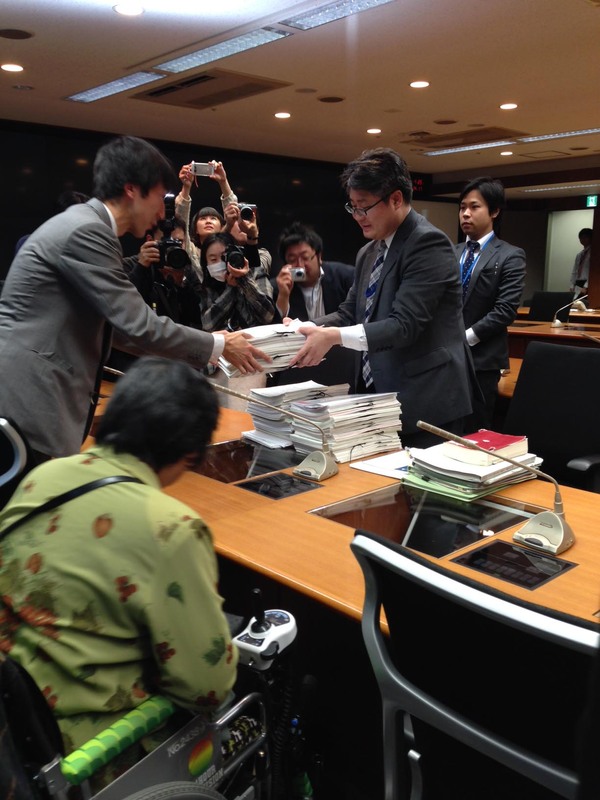 In April, a group of evacuees in Tokyo submitted a 16,000-signature petition to Prime Minister Shinzo Abe’s Cabinet Office demanding long-term support specifically for Fukushima’s nuclear evacuees and migrants. Last month, the government decided to add another year of free housing but hinted it would be reluctant to offer the long-term extensions many evacuees are hoping for. “It is difficult to write a new law or to revise the current one, so for now, we can only give government support in accordance with the Disaster Relief Act,” said Shoichi Kumano, senior deputy director of disaster management at the Cabinet Office. “In the long term, we also need to look into the responsibilities of Tepco and see how much of the housing costs it can cover,” he added, referring to Tokyo Electric Power Co., which operates the Fukushima No. 1 nuclear plant but has been essentially nationalized since the disaster began. 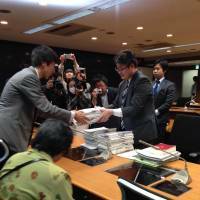 Fukushima Prefectural Government figures show that there were 89,491 evacuees living in temporary accommodations in the prefecture and 48,364 elsewhere in Japan as of January 2014. Evacuees whose original homes are not in the exclusion zone are often referred to as “voluntary evacuees” because they were not under central or local government orders to leave. There are no official figures for this group, but a survey by a local newspaper estimated that in January 2014 there were 35,000 voluntary evacuees. These people say they had no choice but to leave, given that the radiation released by the three core meltdowns is likely to linger for decades. Kamoshita and his family wisely fled even before the authorities sounded the alarm over the unfolding crisis at the power plant. They feared, quite simply, that the reactors would explode. Two of the buildings housing them did just that. He now juggles two jobs in Tokyo to support his family and pay off the loan on his home in radiation-tainted Iwaki. Kamoshita’s wife, who did not want her first name published, said although her affection for their hometown remains strong, she worries about the future impact the radiation will have on the health of their two sons, now 11 and 7. Attorney Kenji Fukuda is a deputy representative of Saflan, a support group that represents evacuees, especially children. He is critical of the government for not taking special steps to help them since the disaster, and ignoring the fact that land contaminated with radiation poses a wholly different challenge from any that Japan has faced in the past. “The evacuees’ financial and psychological problems are building up. The government should think about the complicated situation they are in,” he said.